CIA Director Gets Hostile Over WikiLeaks, Etc. April 13 — Mike Pompeo seemed combative as a tank platoon commander and happy as a former member of Congress now with a great paying gig that doesn’t require sitting on the telephone making calls to campaign donors. The three-term conservative congressman representing Witchita, Kansas, was nominated CIA director by President Trump and confirmed in late January. 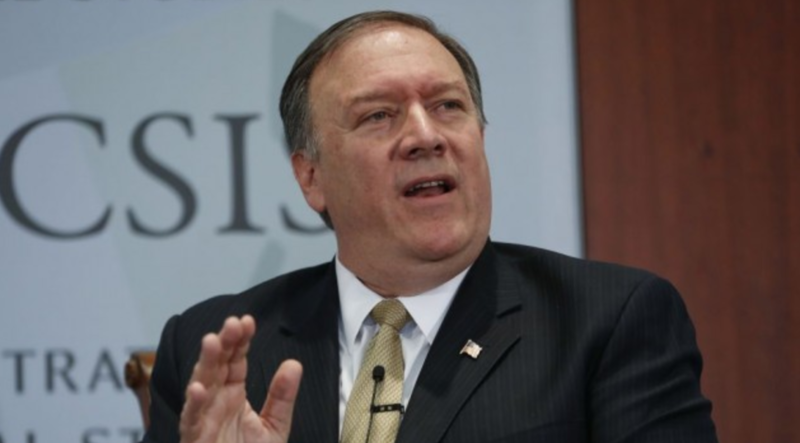 “As long as I am lucky enough to have the best job in the world, I promise you that the CIA will be tireless in our mission to keep America safe,” Pompeo pledged to a welcoming crowd gathered at the Center for Strategic and International Studies in DC. During his first speech as CIA director on Thursday, Pompeo devoted much of opening comments to praising the secret work of the agency and to trash WikiLeaks and others that seek to unveil its secrets to the public. Famed for publishing news-making classified government documents, the website relies on anonymous sources and hackers that often obtain the material illegally. Apparently, Pompeo has taken a quick turn in his thinking. As a congressman, he took to Twitter last July to push the latest Wikileaks scandal of 20,000 hacked emails written by DNC staffers that included strategies against Bernie Sanders and favoring the presidential nomination of Clinton. Pompeo once pushed Wikileaks when the website published 20,000 emails hacked from the Democratic National Committee. The tweet has since been deleted. But that was then and this is now. The tweet is now deleted. During his Senate confirmation hearing, the Harvard educated lawyer claimed he did not remember the tweet and said the website lacks credibility. And though Pompeo WikiLeaks may have been useful in blasting Democrats, he now views the website and similar sources that specialize in sharing hacked government documents as public enemy number one to intelligence efforts. “These are people who are recruiting agents to steal American secrets with the sole intent of destroying the American way of life. That is fundamentally different than a First Amendment activity as I understand and as most Americans understand it,” Pompeo said. One wonders if his boss, Donald Trump received the same memo. While on the campaign trail, Trump told a crowd, “I love WikiLeaks” and mentioned the website scores of times and during every presidential debate to bolster his critiques of Clinton. Then again, perhaps (and I do mean this fleetingly) the president is becoming increasingly irrelevant as he battles investigations led by the intelligence community into possible coordination by his campaign with Russia. Earlier in the day, former intelligence officials at another Washington forum suggested that Vice President Mike Pence might be a good vehicle for discussing intelligence matters with the White House. And neither Pompeo nor the former intelligence heads cast disparaging words on the avalanche of anonymous leaks from the intelligence community that seem to advance stories on the Trump camp’s possible collusion with Russia.